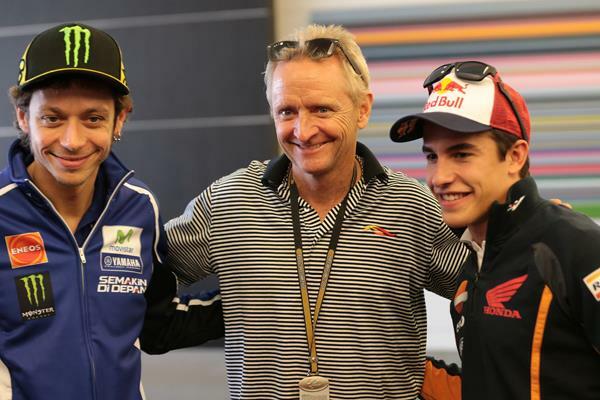 Marc Marquez can become the greatest and most successful rider in MotoGP history, according to Texan legend Kevin Schwantz. The Spaniard remains undefeated in four races in 2014 after another resounding triumph in Jerez last weekend. The 21-year-old is already a triple world champion in three different classes and his first Grand Prix win in Jerez was the 36th of his career and 10th in MotoGP. And Schwantz believes he could comfortably break Valentino Rossi’s record of nine world titles and 80 premier class wins. The 1993 world 500cc champion told MCN: “He will be compared to Rossi until he outdoes the 46. Marc is 21 with one MotoGP title under his belt and I think Valentino won his last title in 2009 when he was 30. And he's still racing at 35. If you give Marc what I consider to be your peak years between 20 and 30, then who knows what his potential win list will be? Why not more than seven MotoGP titles that Valentino won? Marc is a guy who is winning and still learning and he thinks there is nothing he can’t do."